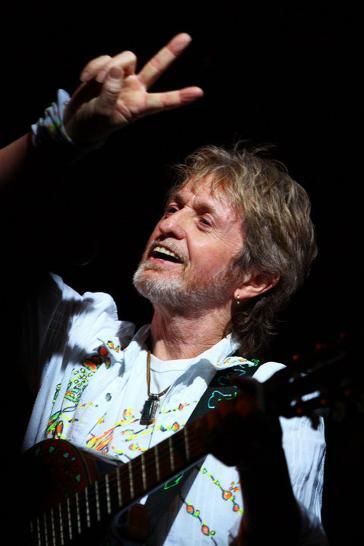 Jon Anderson is, quite literally, the voice of Yes, the band whose albums The Yes Album, Fragile, and Close To The Edge are amongst the most beloved of the progressive rock genre. Songs from this era co-written by Anderson include “Roundabout”, “Yours Is No Disgrace”, “I’ve Seen All Good People”, “Heart Of The Sunrise”, and many others. 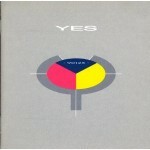 His first solo album was 1976’s Olias of Sunhillow, and he sang on Yes’ 1983 runaway hit “Owner of a Lonely Heart”. Anderson also had a long-running collaboration with Vangelis of Chariots of Fire fame. Anderson recovered from an episode of acute respiratory failure in 2008, returning to performing solo shows in 2009. 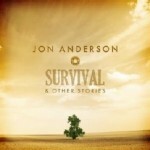 He has a new album called Survival & Other Stories which will be released in mid-June, 2011. The following interview was conducted by email, with answers received on June 2, 2011. Jeff Moehlis: I’ve been enjoying your new album Survival & Other Stories. The packaging says, “4 years ago I put an ad on my website: ‘Musicians Wanted… Send me your music'”. Could you explain how this seemingly simple request grew into this album? Jon Anderson: There are so many talented people out there creating so much diversity in music, so it really was amazing to get in touch with all these musicians.. and as time went on I realized I had enough songs for 3 albums, and it was time to release ‘Survival’….so much more music to come..
JM: The credits for the songs on the new album list you for “Song/lyrics”, and others for “Music”. Could you clarify the contributions from the others, for example did they provide the initial musical ideas, should they be viewed as co-writers, did they perform on the album, etc? JA: Yes they performed in their own studios around the world, and sent me basic music that inspired me to sing a melody and lyric, then we spoke about production, most of the time the production was well on course..
JM: The liner notes for the new album say “Making music is easy… it’s the business that’s hard.” How have you maintained your general positivity in the face of business and creative struggles, criticism, problems with bandmates, and the such? JA: Just a belief in my destiny to write interesting and great music, and have a free spirit without all the trappings of thinking I was a superstar, I know what I am, and I am very thankful…..
JM: If it’s OK, I have some questions about the past. 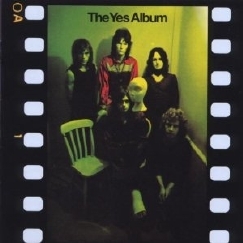 First, I really like the arrangement of Richie Havens’ “No Opportunity Necessary, No Experience Needed” on the Yes album Time and a Word, which includes music from the movie The Big Country. How did this come together? JA: I was always interested in molding different kinds of music together, like ‘morphing’… I am a big fan of Richie Havens, so the song was a perfect one to try…and I love the Music from the classic western ‘The Big Country’ by Elmer Bernstein…. it worked great on stage…. 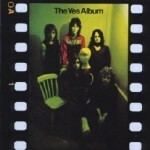 JM: The conventional wisdom is that the first truly classic Yes album was The Yes Album. Could you reflect on this album? JM: Could you describe, from your perspective, the musical evolution over the next Yes albums Fragile, Close To The Edge, and Tales from Topographic Oceans? 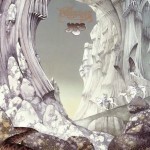 JM: Many of the classic Yes albums were produced by Yes and Eddie Offord. How would you characterize what Eddie brought to the music? JM: Yes had an interesting and successful change of direction with 90125. What were your goals at this point, and were they met? JA: I just went along for the ride, it was already going to be a hit album, the record company were going to spend a fortune to make sure, the record is a classic rock/stylish/new wave energy, and it still works today… very special times, and lots of fun being a superduperstar…for 10 mins..
JM: How did it come about that contributed to “Prince Rupert Awakes” with King Crimson, “So Long Ago, So Clear” with Vangelis, and “In High Places” with Mike Oldfield? JM: You worked with Vangelis many more times after this. Can you reflect on your collaborations with him? JM: Do you want to set the record straight on anything about your music, career, or life? JA: not really, I’m just happy to be alive and healthy and in a good creative zone….. and in love with my wife Janee…. JA: my kitchen table in our home in beautiful central California, watching the basketball finals… life is good….